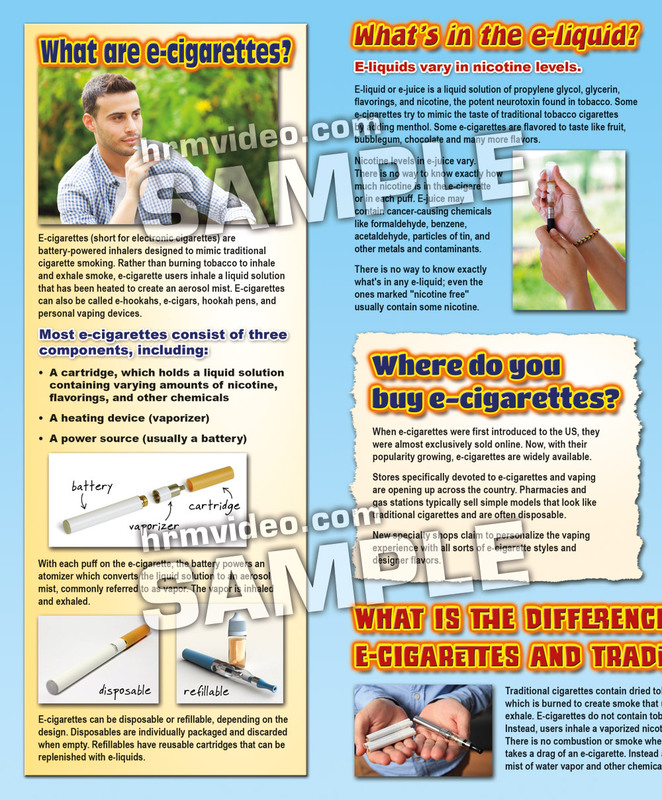 Don't let your students be fooled by all the hype about e-cigarettes! The CDC reports an astonishing rise in teen use of e-cigarettes. Many teens think they're safe. 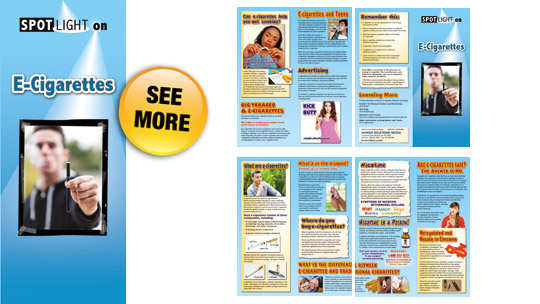 This pamphlet will give them the real facts they need to know. Nicotine addiction is dangerous to developing teen brains. E-cigarette vapor (or aerosol) contains carcinogens. 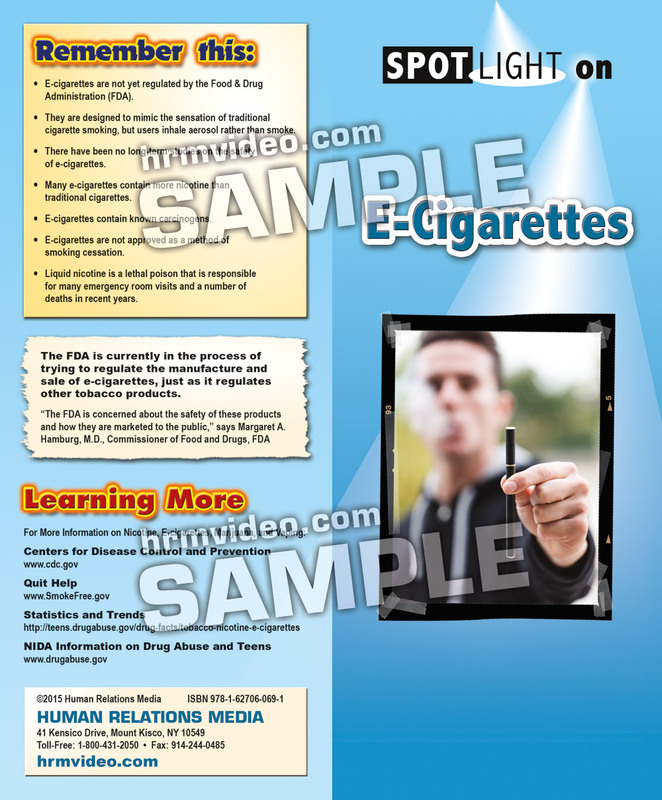 E-cigarettes are not yet regulated by the FDA so their labels are often false. 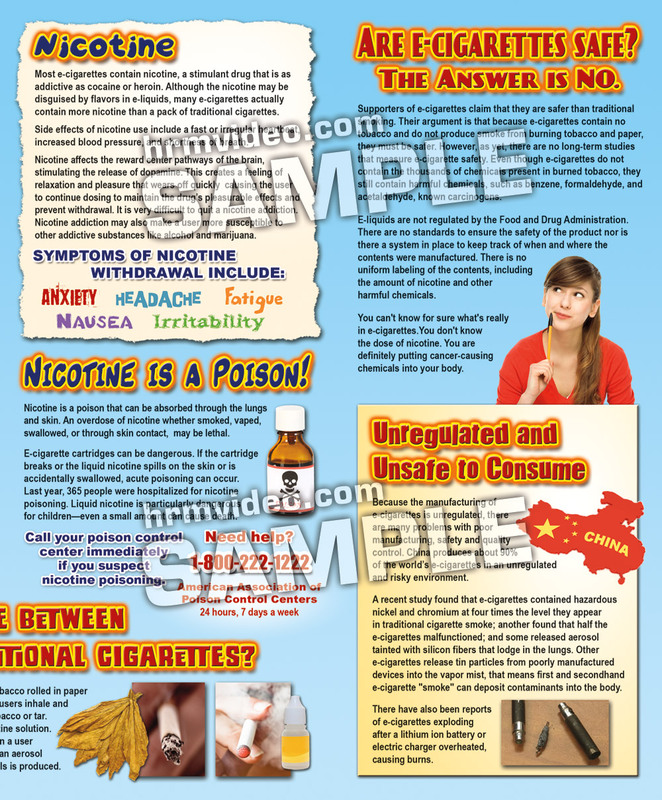 All e-cigarettes contain nicotine, even the ones labeled "nicotine-free." The goal of e-cigarette sellers is to hook kids on yet another addictive and dangerous drug.